Getting into drones as an adult these days can be a bit of a headache. Why? Because there are hundreds, if not thousands, of drones out there to choose from. Researching the best drones for adults also means searching through some of the introductory drones, as well. Unfortunately, that can take quite awhile, so we’re here to help you out. Hobby drones for adults are relatively easy to find, but they often get mixed in with drones for kids and drones for beginners. Here are our top 5 picks for the best drones for adults as a hobby. See the best price on Amazon.com or get Fast & free shipping from the manufacturer’s website. The Outlaw B2W is a brand-new drone from Altair Aerial and our #1 choice for a drone for adults. First time pilots love it because its GPS stabilization and ease-of-use features make it easy for anyone to fly. Advanced pilots love it because it has a great range and flight time, and because those same stabilization features make it easy to line up the perfect shot with the built-in 1080p camera. The Outlaw B2W is the perfect choice for any drone pilot who wants to get in on one of the newest and most innovative drones around at an affordable price. 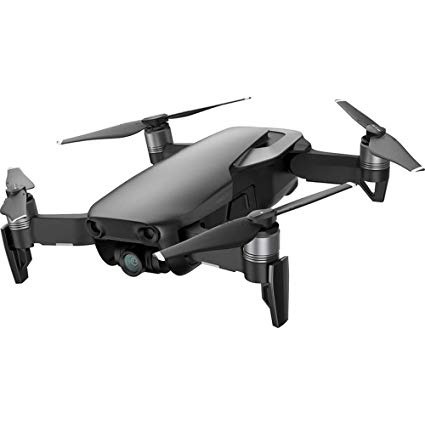 The DJI Mavic Air is one of the most popular pro drones on the market today and is our #1 choice for a high-end drone for adults. It comes with a ton of advanced features (including autonomous flight modes and the best obstacle avoidance sensors around) at a fairly reasonable price of $700. It even has a built-in 4K Ultra HD camera that can also take 1080p video at 120 frames per second. This is in addition to the impressively long flight range and flight time and the fact that the whole drone can fold up and fit in a pocket. This has become one of the most popular flying cameras in recent memory, and when you take a look at the specs it’s definitely not hard to see why! The Mavic Air is one of the best high-end drones around in our opinion and perfect for any adult drone pilot who wants to take his, her, or their game to the next level. If you find the manufacturer’s name familiar, it’s because we’ve reviewed their drones earlier on. 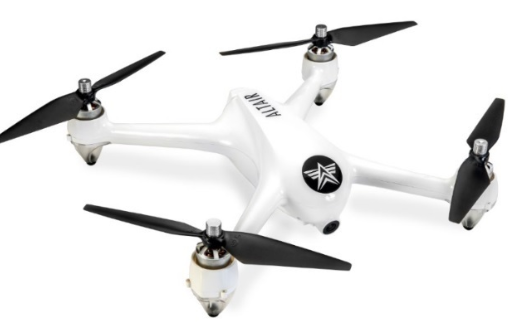 The Blackhawk by Altair Aerial, however, is leaps and bounds ahead of the previous line of drones that have been released thus far, costing only $120. While it may cost less than the 818 Hornet, there’s a couple of reasons why. If you have a GoPro HERO3 or a HERO4 model, you can strap it to the Blackhawk and fly away. The Blackhawk by Altair Aerial is the perfect choice for someone who wants a high-speed drone with minimal features and superb specs. 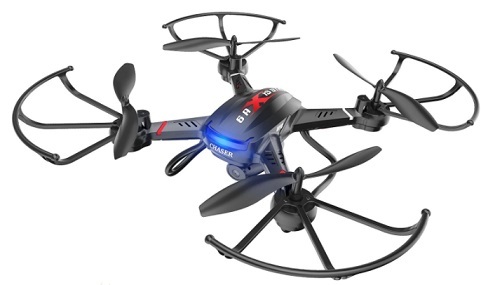 The 818 Hornet by Altair Aerial is another awesome intro drone for adults. It’s also incredibly budget-friendly, coming in at only $160! You may notice a lot of similarities here, considering this one is also manufactured by Altair Aerial and is a lot like the AA108, but they do have their differences. For one, the 818 Hornet can go further and has a battery that lasts up to 5 minutes longer. The 818 Hornet by Altair Aerial is a step above the AA108, making it a great choice for someone who liked the first, but wants one with some more stretched specs, if you get our meaning. The AA108 by Altair Aerial has had a serious price drop lately, currently priced at around $110! What is loved most about this drone is that it comes with 3 Flight Skill Levels – Intro, Mid Level, and Advanced. 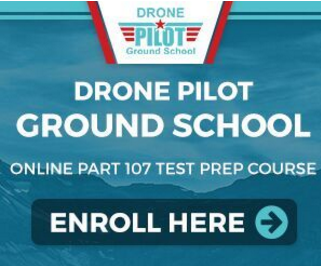 These flight skill levels ensure that you can learn and grow with your drone without having to upgrade to a more professional model. Instead, flip to the last skill level, and you’ve got your professional drone right there! 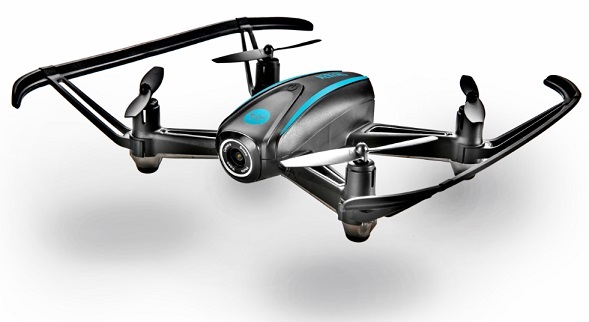 The AA108 by Altair Aerial is one of the best hobby drones for adults, especially for those who want one that grows in experience with them. 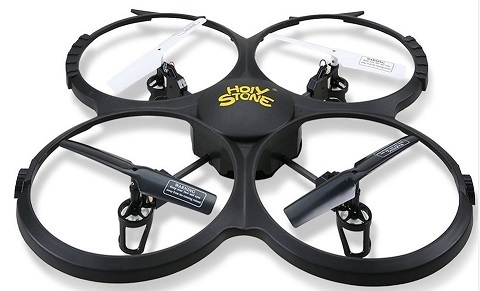 The U818A HD by Holy Stone is a great drone for adults that is also very budget-friendly. It’ll only cost you $70, is very easy to fly, and also doubles as a drone that is simple enough for children to use without using any of the extensive features. It’s one of the best hobby drones for adults for anyone who wants to start with something small and inexpensive. Though it’s a small & cheap it comes with an HD camera that’s actually of good quality! The U818A HD by Holy Stone is a very impressive little drone for adults who want to get into hobby drones. It’s both simple yet very effective where serious features and specs are concerned. If you’re looking for something smaller in budget, then the X5C-1 Explorer by SYMA is right up your alley. It’s going for as little as $45 right now. Despite the low price, we assure you, it’s a drone that well deserves a spot on our list. You may recognize this one. If you do, it’s because it’s the upgraded version of the previous X5C by SYMA. This one, however, includes an HD camera and a couple of other upgrades that we know you’ll love. 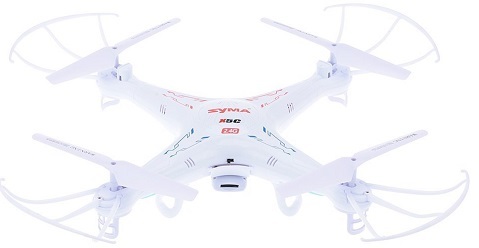 The X5C-1 Explorer by SYMA is a great way to get a handle on learning how to fly a drone. While it’s a simple one, it’s never stopped being a classic that teaches you everything you need to know about flying a drone successfully. For those who want a drone that will give them a challenge, the F181W by Holy Stone comes highly recommended. It has a reasonable price of $112 and brings some serious professional power to the table. For starters, it boasts Automatic Altitude Hold, which uses a powerful amount of air pressure to hold it steady no matter the weather, something that every aerial photographer needs. For anyone looking for an introductory challenge before they step up to the more complicated drones for adults, the F181W by Holy Stone is where you most definitely want to be. Now let’s get onto the second portion of our review, the advanced drones for adults. These hobby drones are not for the faint of heart. They require, at minimum, skill in flying a drone and using certain features. 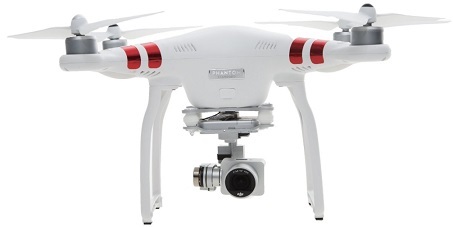 Everybody knows and loves the Phantom 3 Standard by DJI. It’s a timeless favorite that has been both reliable and fun to fly for quite a long time. These days, it can be yours for as little as $480, so why not indulge a little bit? It’s a model from the Phantom line that acts as a suitable bridge from beginners to advanced fliers alike, giving the user something that is more GPS-oriented with loads of controls and options in store. The Phantom Standard 3 by DJI will always be a favourite classic of every drone user and lover out there, that’s for sure. The Bebop 2 by Parrot is one of the best drone for adults for many reasons. For one, it has an insanely low price of $295 and is an exceptional upgrade from anything we’ve seen before when it comes to previous Parrot models. It boasts upgraded, powerful motors that offer better flight and an overall better experience in different winds and altitudes, which is something that every drone manufacturer should have, considering a good chunk of them do not. The Bebop 2 by Parrot is a beautiful advanced hobby drone that any user will quickly come to know and love, even on their first flight! For those looking to hit high speeds with a more advanced model, the FPV Racing Drone by Bolt Drones is right up your alley. This one will only cost you $170, which is a great deal in our books. It’s made of a carbon fiber frame, which is usually done in racing drones, so you can be well assured that, should a crash happen, the damage will be as minimal as possible. Anyone who wants a good mix of FPV and racing will no doubt receive it from the FPV Racing Drone by Bolt Drones. No doubt, by now you’ve chosen your favorite, or favorites, from the lists of drones we have just gone over. It’s important to remember where your skill level currently is, what you want out of a drone, and what your budget is. Our favorite pick for the introductory category is the 818 Hornet by Altair Aerial. It’s fast, efficient, has over 15 minutes of flight time per battery, and gives you a run for your money, what little is spent, that is. In fact, the 818 Hornet is also our #1 Beginner Long Flight Time drone. Take a look at the rest of the list here. Our favorite pick from the advanced category is the Bebop 2 by Parrot. It’s advanced, exquisite, and a very flashy drone that gives real, true flight results. However, if budget to quality is where your loyalty lies, you might want to go with the Blackhawk by Altair Aerial. It’s a beautiful, budget-friendly, advanced drone that comes from an excellent manufacturer.